The mobile advertising industry is in the midst of a massive shift. Disruptive popup and banner ads have fueled the use of ad blockers, especially among younger generations: over 40% of Millennials and nearly 40% of Gen Zs are blocking ads. To resolve this, the Interactive Advertising Bureau published a new set of guidelines that bans annoying formats like popup ads in favor of a better user experience. With that in mind, how can brands create engaging, effective content that mobile users won’t want to block out? Messaging apps have been one of the fastest growing spaces on mobile, and right now, nearly 40% of the world uses one. Platforms like iMessage, Kik and LINE have highly engaged user bases that share billions of texts, emojis and GIFs every day. Certain platforms like Snapchat even promote daily use by assigning a score to consecutive messaging “streaks.” More than just a way to stay in touch with friends, users welcome outreach from brands on messaging apps and rely on chatbots to provide personalized, high-touch customer service in the moment. Many brands are already using messaging apps to engage their customers with shareable content like emojis and GIFs. This is a smart strategy, as Millennials say emojis and GIFs do a better job of communicating their feelings than words do. By establishing a presence in this space, you can participate in the conversations your customers are already having, without disrupting them. 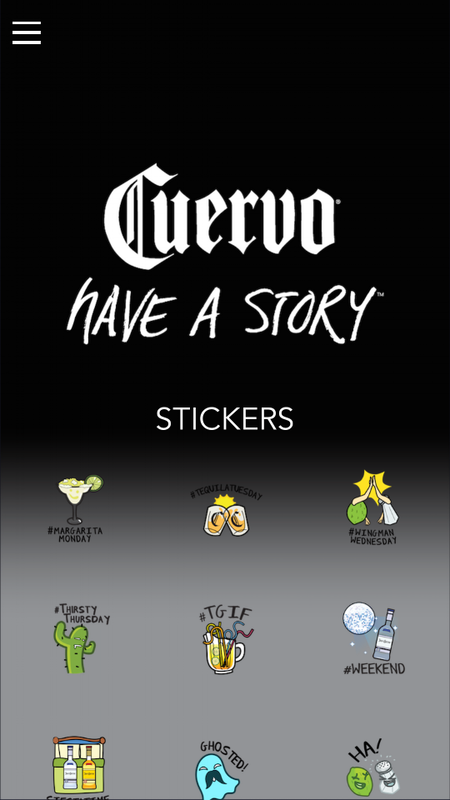 As part of their “Have a Story” campaign, Jose Cuervo created fun, tequila-themed stickers that their Millennial target would want to share. The stickers were downloaded and shared over 1 million times in messaging apps for a total of more than 31 million impressions. To promote their film, Miss Peregrine’s Home for Peculiar Children, 20th Century Fox decided a campaign in iMessage was the perfect vehicle to reach the film’s young audience. Fox used stickers and GIFs illustrating characters from the film, enabling fans to be Brand Advocates. The campaign exceeded forecasts and goals by more than 200%. While traditional mobile advertising is by no means dead, it’s clearly missing the mark, especially with younger audiences. Messaging apps are by nature an interactive, fun and social environment, ideal for engaging Millennials and Gen Zs. Each app has its unique user base and qualities, so it's important to zero in on the right platform to reach your target audience. Once you’ve identified the appropriate place for your brand, embrace your voice and join the conversation. Give customers a way to be Brand Advocates by providing fun, mobile content that they’ll want to share. And with retargeting, the potential ripple effect is huge, as it grants you the ability to connect with users in messaging apps and continue to promote your brand across the digital universe (in engaging, non-disruptive ways, of course). Swyft Media’s co-founder, Evan Wray, will be hosting the panel, “Navigating The Digital Language of Youth: Emojis & Beyond” at YMS NYC this October.